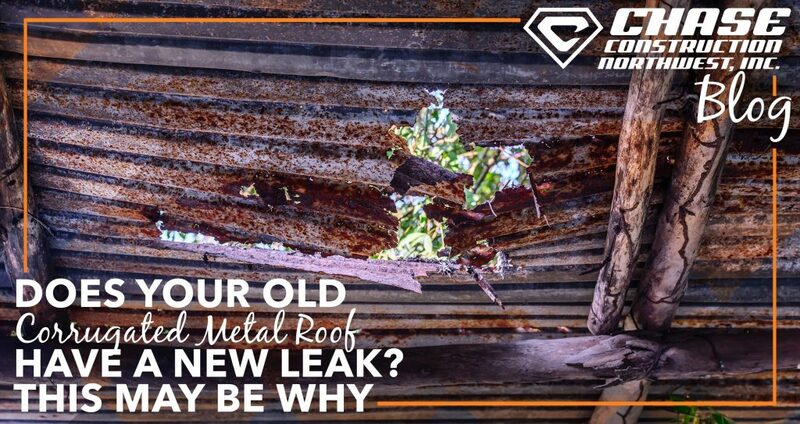 A good metal roof will last a long time. And maybe yours has. It could have gone 10, 20, 30 years without any issues but then spring a new leak out of the blue. What’s causing that? It’s probably the rubber washers. Because corrugated metal roofs have exposed screws, rubber washers are needed to create a watertight seal is needed to prevent leaks. Washers last for years, but they also take a beating from the elements. Sunlight, rain, snow, wind, hot, cold, you name it — over time the elemental beating degrades the integrity of the rubber, cracking and deforming it. Eventually, the watertight seal is done for and water finds its way through. Factories and barns with older corrugated metal roofs all across the Pacific Northwest have these worn out washers causing leaks. How do you fix these leaks? You might be thinking that removing the old washers and screws to replace them with new ones wouldn’t fix the problem, and you would be right. Not only would replacing each washer be extremely time intensive, but you couldn’t reliably re-secure the screws since the penetrations have already been made and have aged. You may be thinking that a tear-off and re-roof is overkill, and you would also be right. 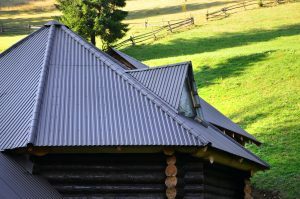 Metal roofs can be expensive, and they’re among the longest lasting components of a building. There must be a more reasonable fix. Liquid silicone roofing recover. Applied over older, leaking corrugated metal roofs, these complete roofing systems are waterproof. The liquid-applied coating dries into a cohered membrane over top of the metal roof, renewing its watertight function without removing any of the metal roof components. With the reduced cost of material and labor, these liquid-applied systems are often the most cost effective roofing solution. 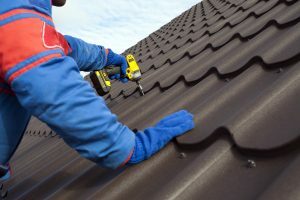 They can be markedly more cost-effective than solutions that require tearing off an old roof and installing a whole new one. 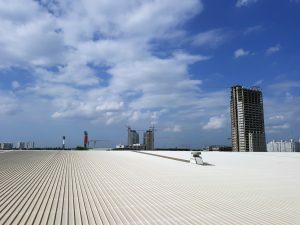 Some liquid silicone membranes can extend the life of roofs by 20 or more years. With nearly a decade of experience applying liquid silicone roofing systems over existing roofs, we have the skills and dependability to ensure the job is done right. As a family owned and operated roofing contractor, we’ve proudly served homeowners and business owners in Puyallup, Sumner, Federal Way, Auburn and surrounding regions since 2002. Get your free roofing estimate today by calling us (253.445.8950) or filling out our online form!